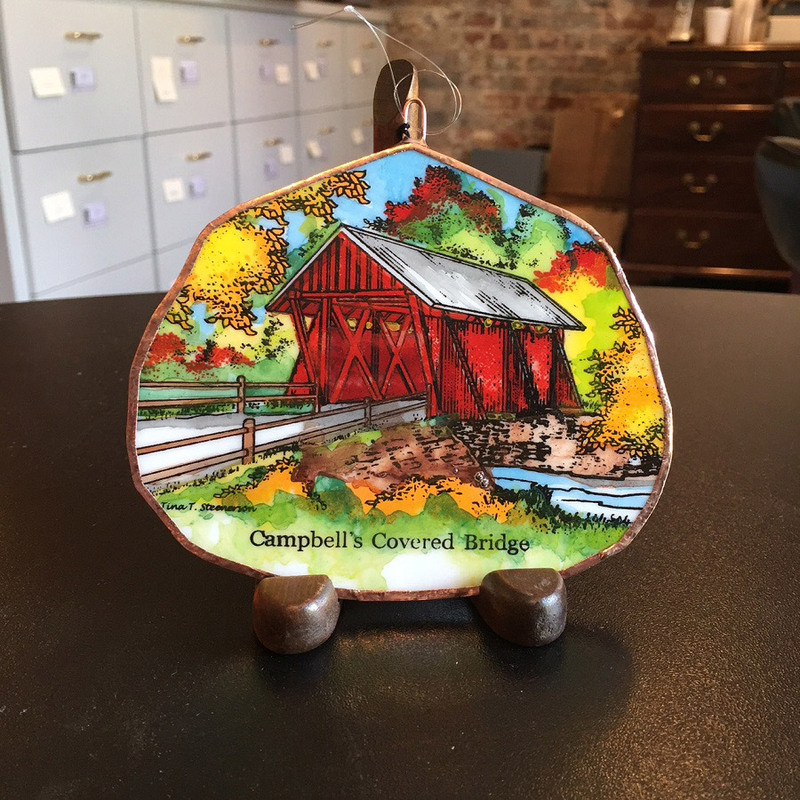 Campbell’s Covered Bridge is the only surviving covered bridge in South Carolina. The 38-foot-long, 12-foot-wide, pine Howe truss bridge was built by Charles Irwin Willis in 1909 and was named for Alexander Lafayette Campbell, a local landowner and millwright, who built a grist mill about 50 feet downstream on Beaverdam Creek. The completed bridge connected several small communities so that trips that had once taken a full day could thereafter be made in about an hour. Today the bridge is owned and maintained as a park by Greenville County.